Eastbound on Interstate 84, exit onto US 30 at Exit #69. 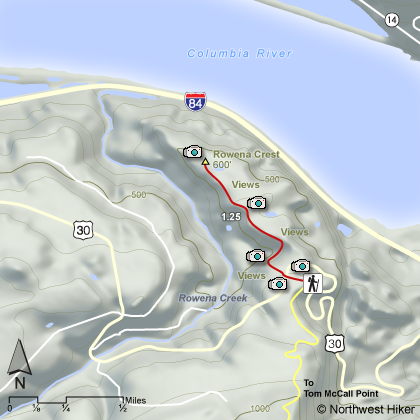 Follow the Old Columbia River Highway uphill, winding for about 7 miles. 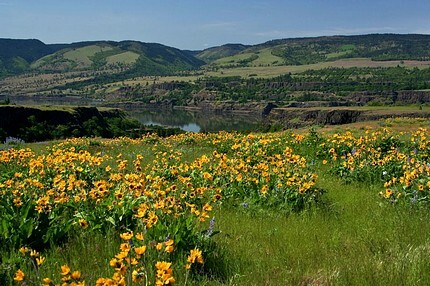 Westbound from The Dalles on Interstate 84, take Exit #76 at Mayer State Park. Cross under the freeway and then turn right (west) onto US 30. Wind several miles uphill to the Rowena Crest Overlook. Parking at the Rowena Overlook, or at the Nature Conservancy sign, walk to the wooden steps that take you over the fence to the trail that leads downhill toward the Columbia River. There are two trails on the preserve.